Huawei has announced the continuation of its Honor Series of Smartphones with the Huawei Honor 3 Smartphone. 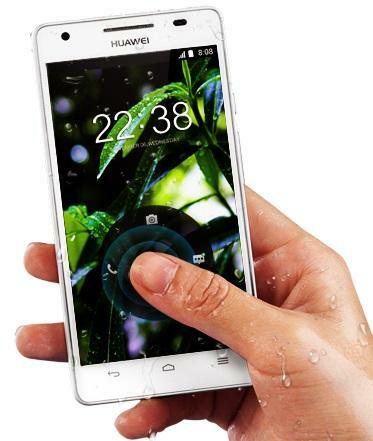 The Honor 3 comes equipped with a 4.7-inch HD display with a 1,280 x 720 resolution plus the device is also IP57 certified, which means that this is a waterproof device. Other specifications of the device includes HSPA+ (up to 21Mbps) connectivity, a 1.3-megapixel front-facing camera, a 13-megapixel shooter on the rear with LED flash. The Honor 3 Smartphone is powered by a quad-core 1.5GHz Huawei K3V2E processor, 2GB RAM, 8GB of internal memory, and a microSD memory card slot for expansion purposes. The Huawei Honor runs Android 4.2.2 Jelly Bean operating system and it can now be ordered in China from today onwards via Huawei’s very own online shop. The Honor 3 is also being sold unlocked for a retail price of around $308.